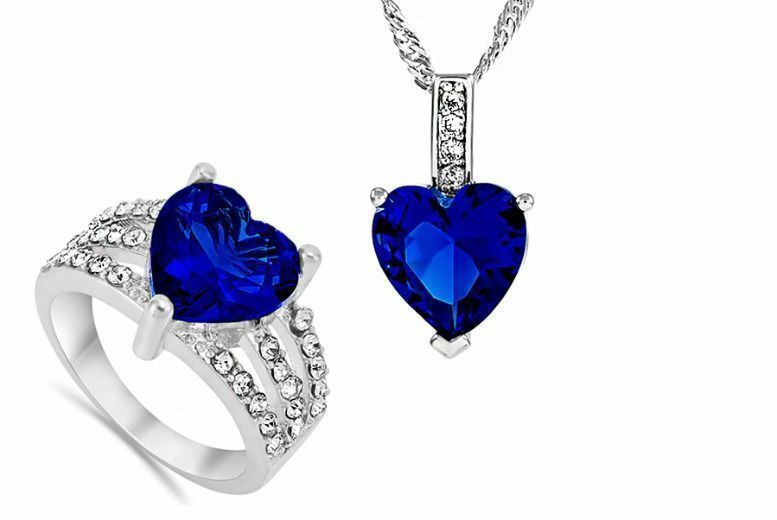 Add some extra sparkle to your outfit with a blue cubic zirconia crystal ring & pendant set! A gorgeous, elegant ring and necklace set. Choose from K, M, P, R ring sizes Turn heads wherever you go. Rhodium plated for enhanced shine and durability.